Misinformation about how and why the Jews of Iraq were forced to leave abounds on the Internet. 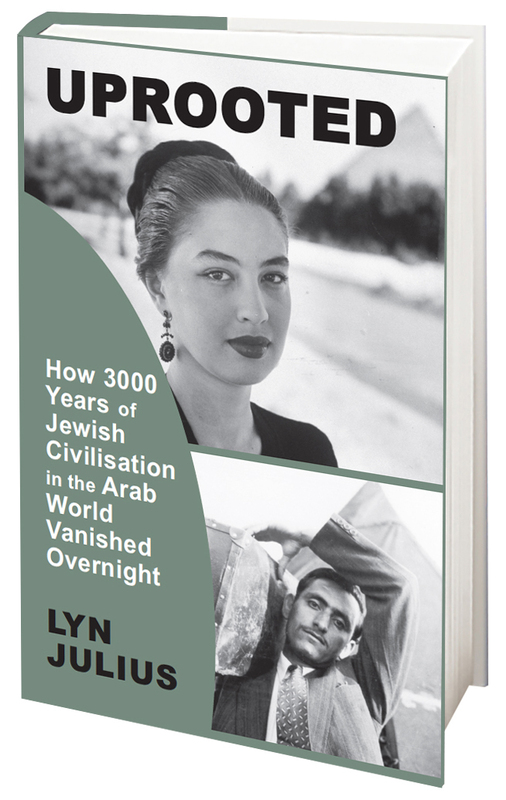 A favoured myth is that Jews and Arabs lived in harmony until the creation of Israel. Another is that 'the Zionists' set off bombs to scare the Jews into leaving in 1950. 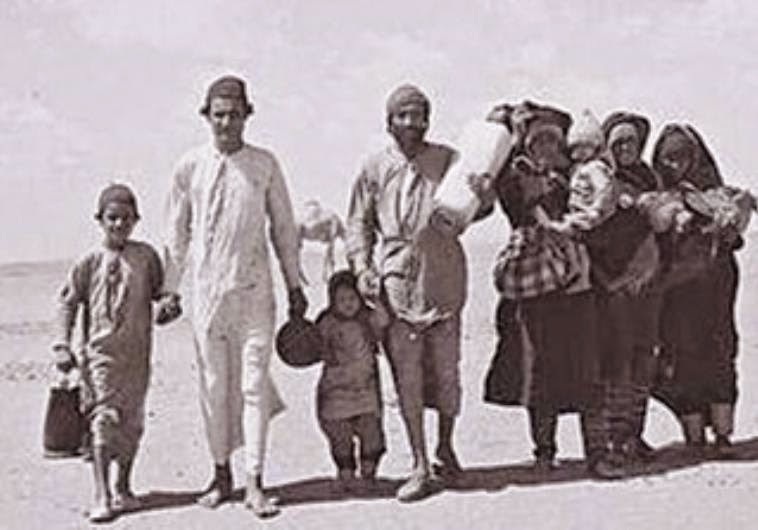 This timeline extracted from The Jews of Iraq: a forgotten case of ethnic cleansing by Carole Basri clearly shows, however, that persecution and insecurity dogged the Jews as early as the 1930s. 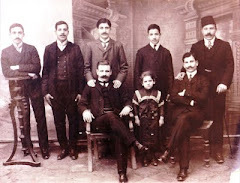 1918,19 and 20: Fearful of local Muslim rule, Jews petition the Civil Commissioner for Baghdad for British citizenship, but are refused it. 1932: Iraq declares minority rights would be protected, but declines to appoint observer to supervise minority guarantees. Some 600 Assyrians massacred in 1933. 1932: German Charge d'affaires, Fritz Grobba, publishes instalments of Mein Kampf in Arabic daily newspaper. Radio Berlin begins Arabic broadcasts. 1934: regulation introduced requiring Jews to deposit £50 to travel abroad. 1935: state secondary schools impose quotas on Jewish students. Hebrew and Jewish history instruction forbidden. Only the Bible can be read without translation. 1936: government-licensed Jewish businesses must have a Muslim partner. 1939: Iraqi public school system begins to follow a Nazi education model. 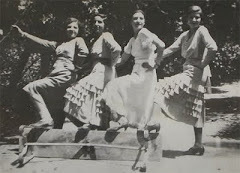 1936: Three Jews murdered in Baghdad, one in Basra. Bomb thrown into synagogue on Yom Kippur. 1936 - 39: despite the Chief Rabbi officially dissociating himself from Zionism and a condemnation of Zionism signed by 33 Iraqi Jewish leaders, seven murders of Jews and six bombings take place. 1941: In the interregnum following a pro-Nazi coup, 179 Jews are killed and 911 houses looted in the Farhoud pogrom. 1947: Iraqi Foreign minister threatens expulsion of Jews as part of coordinated Arab League plan if Partition of Palestine goes ahead. 1948: state of emergency declared; 310 Jews court-martialed. 1948: Jews receiving letters from Palestine accused of Zionism. 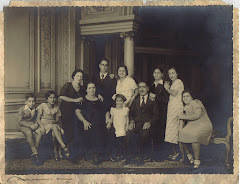 September 1948: Shafik Ades, Iraq's richest Jew, hanged. May 1948 - Dec 1949: 800 - 1,500 Jews dismissed from public service. Jewish banks lose their foreign exchange trading licences. Restrictions on high school and university students. Jewish community 'donates' 113,000 dinars to war effort against Israel. 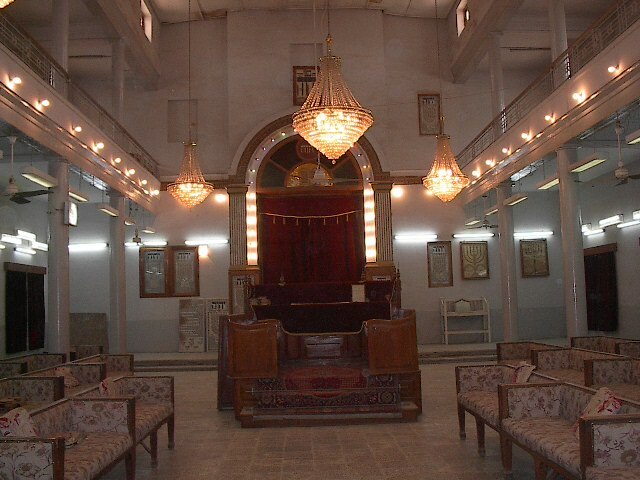 Fines collected from Iraqi Jews: $80 million. Travel ban on Jews and on buying and selling property. Retroactive tax on Jews. 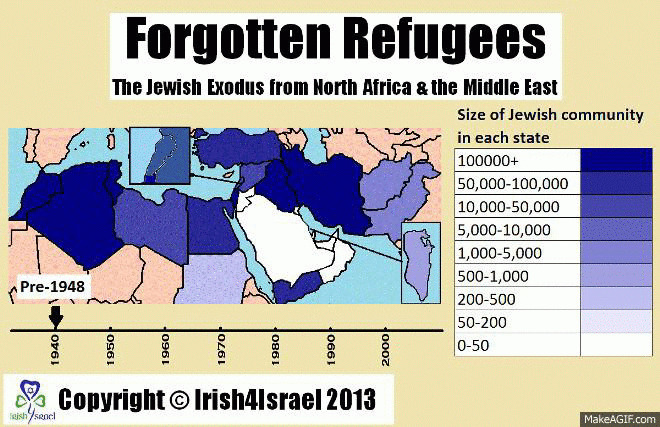 Property of all Jews who had emigrated since 1933 confiscated. Government ceases to service Jewish areas. 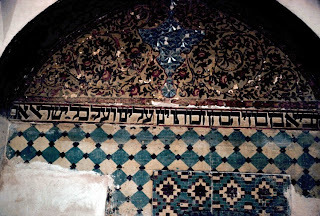 Property of Jewish prisoners impounded. Jewish newspapers shut down. Feb and March 1949: 100 Jews tried for connections to Zionism. 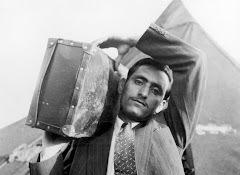 March 1950: Iraqi Parliament Ordinance permits Jewish emigration upon forfeiture of citizenship. Some 120,000 Jews register to leave. March 1951: Law no. 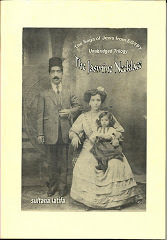 5 deprives all stateless Iraqi Jews of their property. In one succint paragraph, the poster catalogues Iraq's anti-Jewish crimes with power and precision. Why is it so difficult to transport these facts into mainstream discussions of Middle East history? They are very rarely referred to, if at all. Glad you like the post. 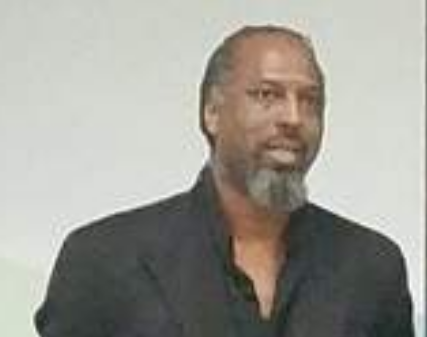 The problem is that Carole Basri's report and others like it are not accesssible on internet - at least not in English, whereas the rantings of Naeem Gilad are. An Iraqi government commission set up to investigate the Farhud blamed Husseini and his entourage for stirring up the local Arabs against the Jews. That's probably true but also meant to exculpate Iraqi officials. By the way, Fritz Grobba, the German diplomat mentioned in the post, wrote a book of memoirs about his doings in Baghdad, which is an important historical source. There are many references to Grobba in Lukasz Hirszowicz's book, The Third Reich and the Arab East, which is also an important source on the Mufti Amin el-Husseini. 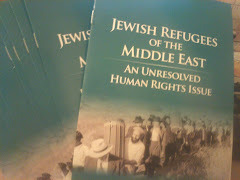 Anon above rightly complains that information like this, which is not so hard to find [see Norman Stillman, Jews in Arab Lands in Modern Times (or similar title) and Malka Hillel Shulevitz, Forgotten Refugees (or similar title), inter alia], does not make its way into mainstream discussion of the Arab-Israeli conflict. Thanks for the above link and references, Eliyahu. The trouble is, n my view, people don't read the books you mention - they do a quick Google search or go to Wikipedia. The WJC could do hisotry a real favour by making the Carole Basri available online in its entirety. The WJC should do that. Here's a link to something slightly off topic but not too far off. 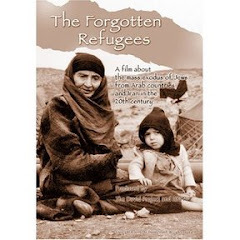 It's Bat Yeor's account of her childhood in Egypt and how she and her family were driven out in the 1950s, how Egyptian nationalists were pro-Nazi during the Holocaust period, etc. It's in Italian so not everyone can read it, but for those who can it is fascinating. I think that this link is better for the Bat Ye'or account. Did Israel cause the rift between Jews and Arabs?